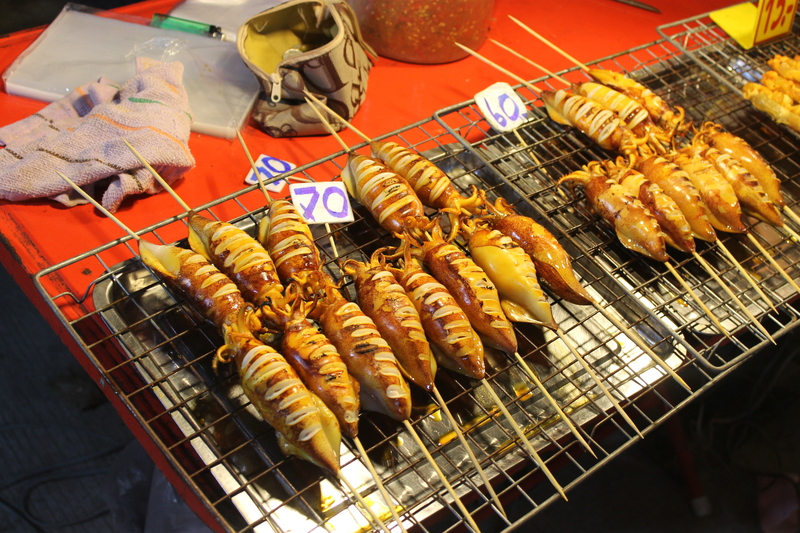 I can’t remember how this came up, but husband and I were reminiscing about some of the best markets we’ve visited on our travels, and this one was close to the top of both our lists. 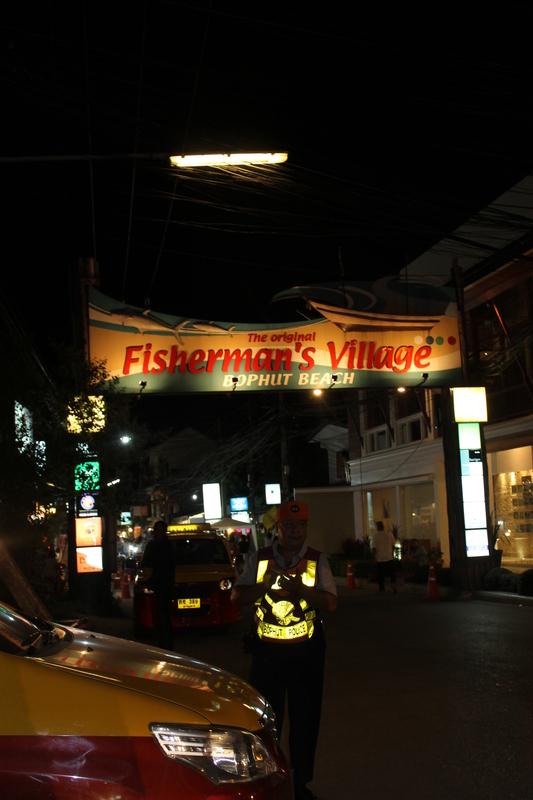 If you find yourself in the very fortunate position of being in Koh Samui on a Friday night, do yourself a HUGE favour and hail a tuk tuk, and ask your driver to take you to the Old Fisherman’s Village Night Market. They won’t need an address, just that name. If you’re staying somewhere along Chaweng Beach like most visitors to Koh Samui do, you’ll find it a pretty quick 10 – 15 minute ride away, in the Bophut area of the island, and it’s the absolute best way to spend a night! 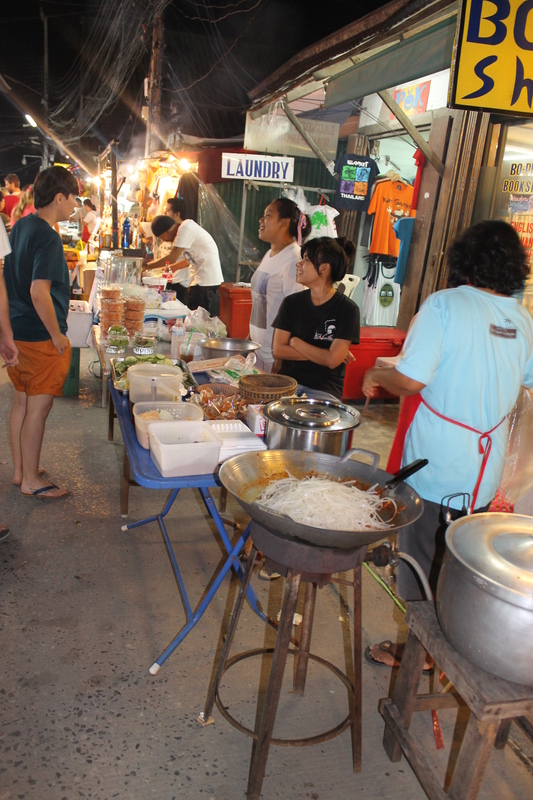 The market is incredible, full of the best street food on the island, which you’ll be wanting to wash down with a freshly mixed cocktail, which you can sip on while you’re shopping for little trinkets and souvenirs. There’s occasionally live music and heaps of little bars and restaurants you can stop at if the heat and crowds get a bit too much to deal with, as well as super easy access to tuk tuks when you’re done and ready to head back to your hotel. Remember to bring cash (notes in smaller denominations will serve you best), comfy walking shoes, and an appetite to try some strange but delicious stuff you might not ordinarily see on the restaurant menus! ← Eat here: Nathan’s Famous Hot Dogs, Coney Island, New York – Happy 4th of July!